Simply Fun is exactly that! 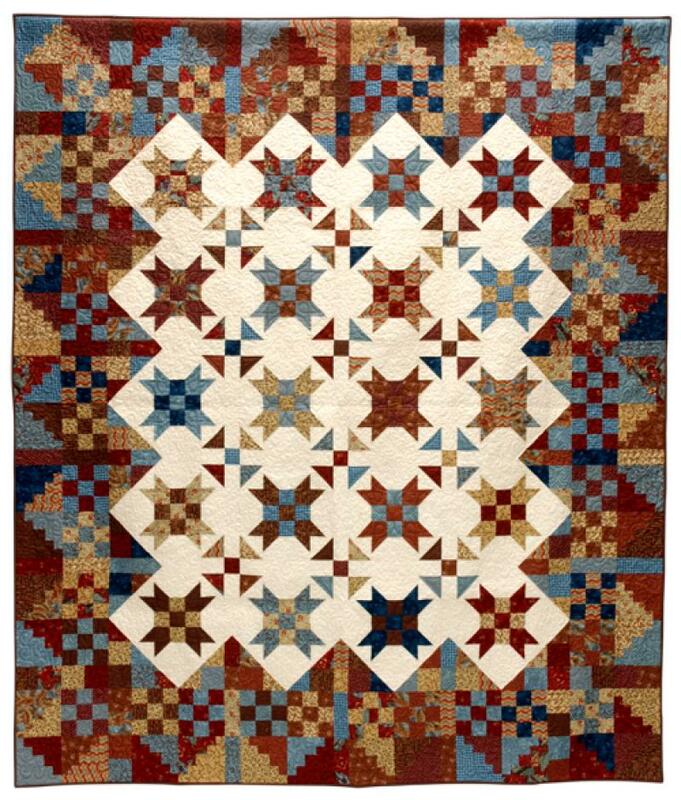 This quilt is fun and easy to make, using simple blocks to create a striking quilt. You will need 5/8 yard pieces of 20 assorted prints. A good approach to selecting your fabrics is to choose 3 or 4 different colors to work with and then select a variety of prints in each color, keeping the prints fairly close in value. Keep in mind that these prints could be brights, pastels or anything you like. You'll also need 3-3/8 yards of one background print. Recommended notions: 3" half-square triangle paper.